As I sit here looking out the window guess what? It’s snowing again! This is great news if you were to ask me. My last fishing report I told you all that snow pack was 91% of average and as of today’s writing the snowpack has come up to 100% of average! 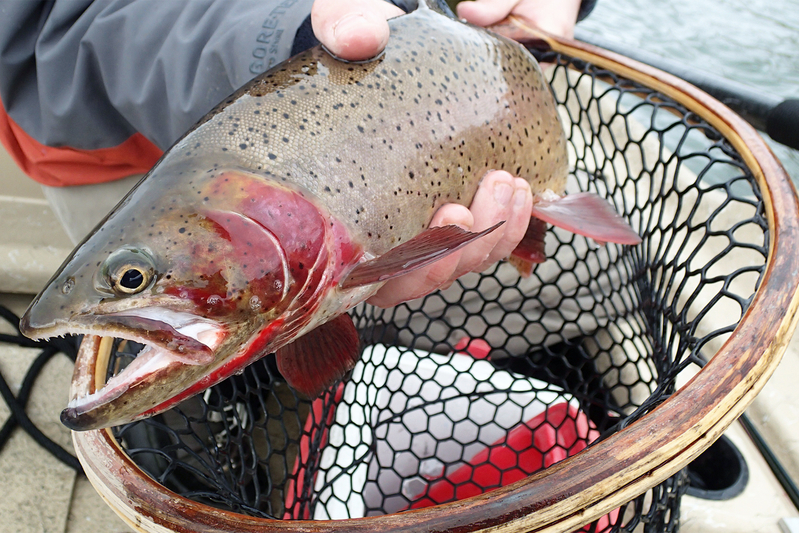 This is great news for fisherman, farmers and most importantly trout! The last week of March is here and to be sitting at 100% of average snow pack is great. There is still more snow in the forecast. I have enjoyed some amazing fishing this spring. I took a road trip to the Clearwater with my good Friend Shaun Lawson. I also fished the Madison with another good friend Mike Lawson. 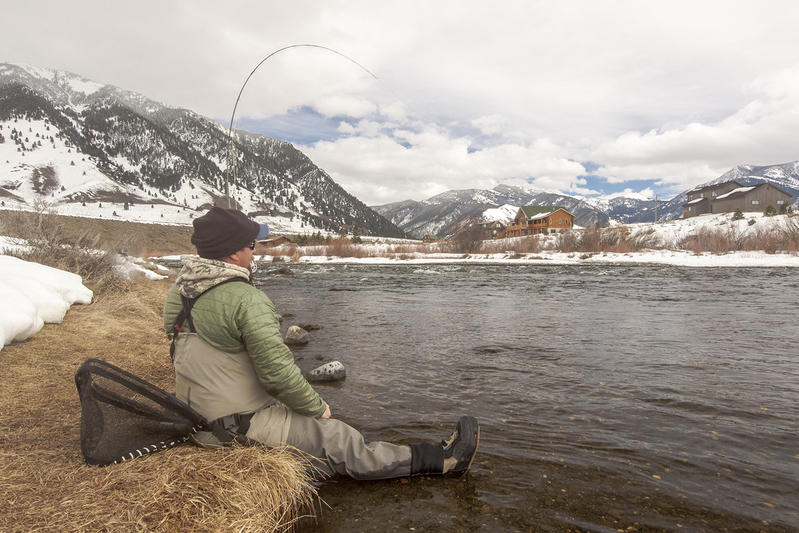 The Teton River has been fun as well as the Henry’s Fork below the Ashton Dam. I fished the Henry’s Fork below St Anthony and back to the Madison with my kids Georgia, Grant and Grayson. I have zero complaints. All in all the fishing and the company has been great. Not much different to report this week. The Box is fishing about the same with access not being any different from my last report. The flow past the shop is at 132 cfs making a float difficult not to mention getting a boat launched would be very difficult. If you’re headed to the Box Canyon make sure you have a good handful of Streamers in your box and zebra midges as well. I would have zebras in #16 and #18 red brown and green. Try swinging a Lawson’s Hen Saddle Olive Matuka through the deeper runs. I think your chances of hooking a large trout this time of the year on a streamer are very good. Also there are good numbers of trout eating midges on flat water below the Box Canyon take out all the way down to the log jam. Fishing a drag free #18 Griffith Gnat is the key to these fish. Warmer overcast days are your best bet. I really like the Henrys Fork this time of the year. On the warmer overcast days you can find pods of fish eating midges and you can also have some amazing streamer fishing. 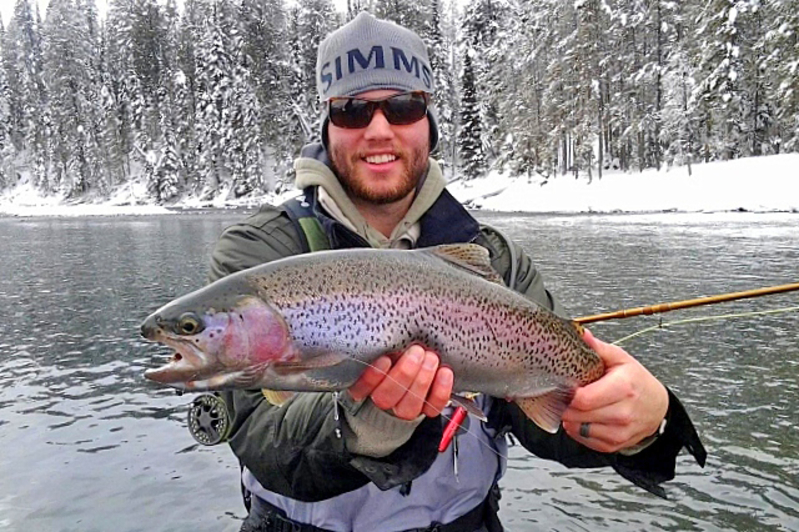 From the Warm River confluence on down to below St Anthony you can find amazing fishing. Smaller rubberlegs, #8 and #10s in black and brown. Zebra midges in #16 and #18s in red, green and black. Glo bugs #14s and #16. I like peach and chartreuse or clown. Also Streamers, #8 Copper Zonkers, Olive Lil Kim’s and Lawson Wool Head Sculpins will get you going. Look for fish sipping midges in the slower moving pools. Once you locate fish stay put. I always pick one fish to cast to don’t flock shoot. You can have hours of fun fishing this way. All the accesses are open from Ora on down. The Teton from Tetonia on down was a little off color when I fished it last weekend. There were midges but on that particular Sunday it was a bright and beautiful day and not many fish eating on the surface. I did fool a couple of smaller fish with a streamer but for me the fishing was a little slow. I would guess that if you went up higher you may have some cleaner water. 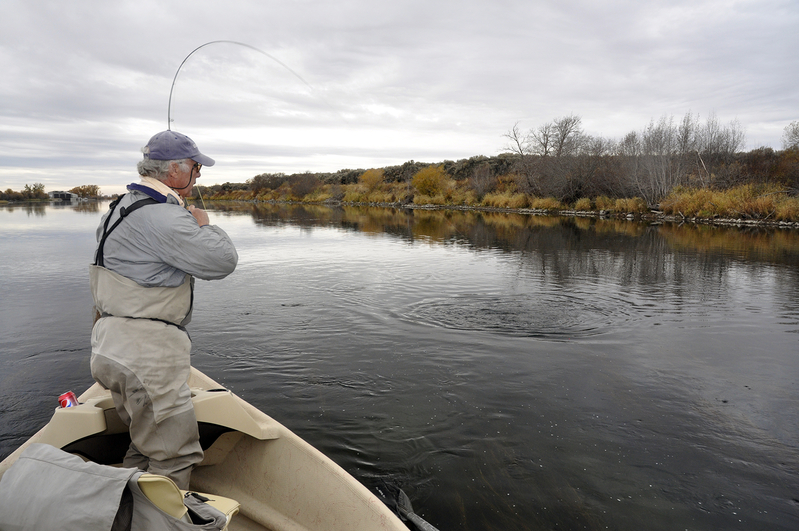 Keep an eye on the weather, colder nights will help clear the river up and make for some great day time fishing. I would fish streamers like a #6 Bling. Brighter flashy streamers in the off color water work well for me. All the accesses on the South Fork with the exception of Cottonwood are open. 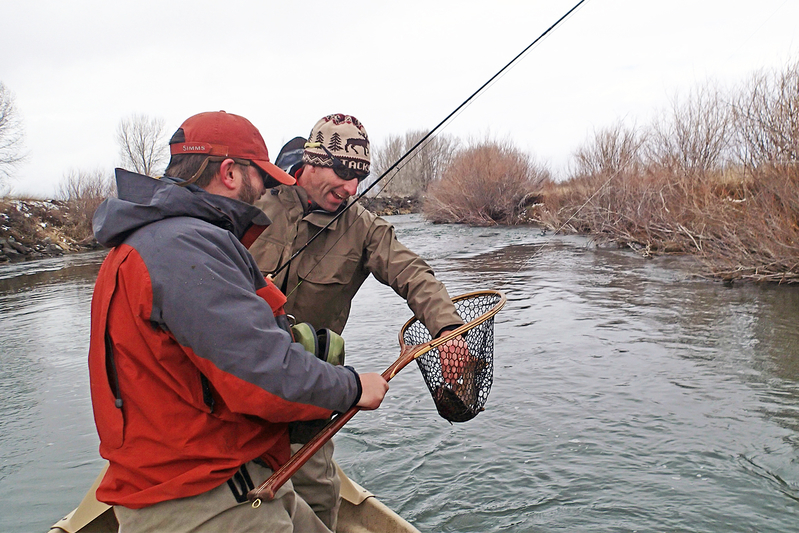 The river is just under 1000 CFS and the fishing has been good. Look for fish eating midges and chasing streamers. As the weather continues to warm up watch for Blue Wing Olives. I have had some great days on the South Fork fishing to rising Cutties in shallow riffles. The Madison has really been fishing well. To be honest I have not made it past Reynolds Bridge. I once heard some wisdom from a guy and it has always stuck with me, “why leave fish to find fish” That has most definitely been the case for me on the Madison. I’ve been there a half dozen times and each time I found good numbers of trout eating midges on the surface. We are gearing up for this summer in the fly shop. Our new website will be live in the coming days and we have started receiving our summer inventory. 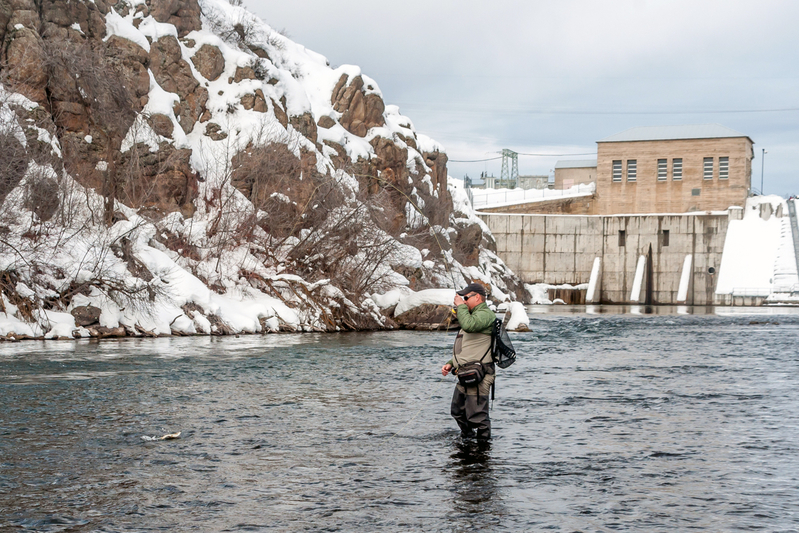 Tyler Treece took the first guide trip of the year and they had a very productive day floating below the Chester Dam. If you’re in the area don’t be afraid to come in a say howdy and take advantage of some great deals in the shop. 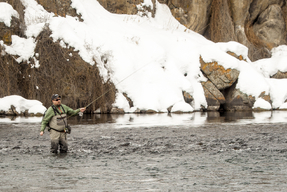 Also take advantage of the off season rate of 495.00 for a guide trip, get out on the river and shake the cabin fever!